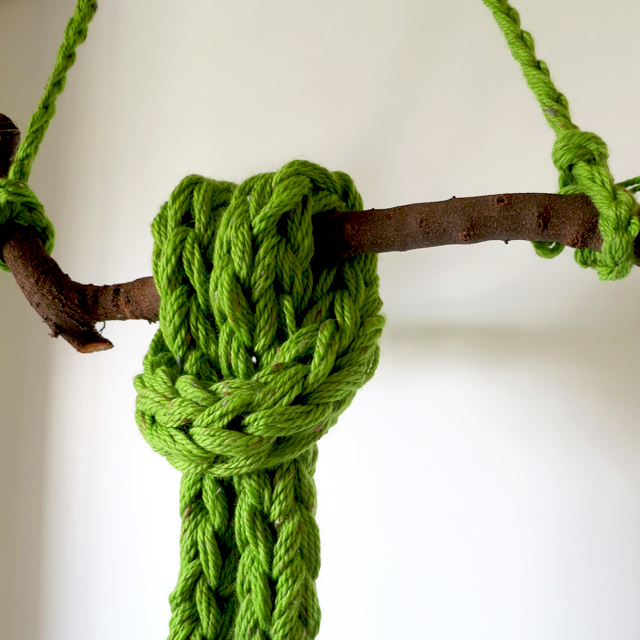 I had some fun over the weekend making this super-sized i-cord using a new technique I came up with last week. It involves a mix of finger knitting and finger crochet. It can be used with up to about 6 stitches, depending on the yarn used. It is also a fun way to teach children how to knit. Here is the video demonstrating the technique. The green rope used 8 strands of the Marta’s Yarns Retro (Bulky weight) wool blend yarn and I used the Marta’s Yarns hand-painted Slubby in the video demonstration. The Marta’s Yarns rainbow collection has inspired so many projects over the years. 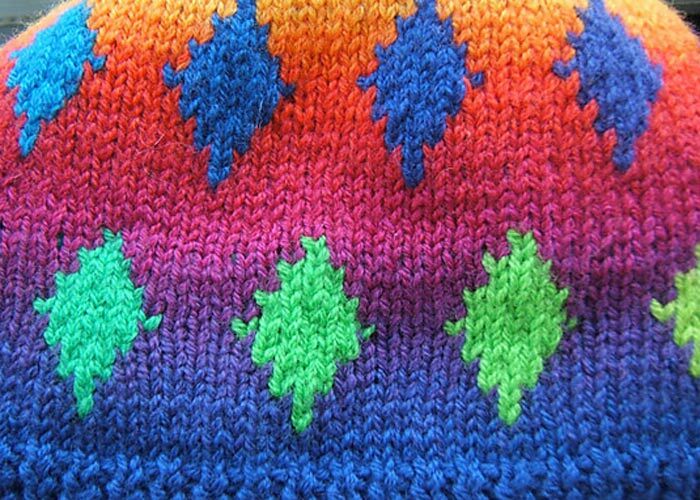 Gradient work, fairisle and intarsia projects have all used this lovely palette. I have just added our new mini skeins of the Marta’s Yarns rainbow in a lace weight merino yarn (2ply). It is super soft and super durable and perfect for needlepoint and embroidery as well as knitting and crochet projects. There is also the complete rainbow collection of 24 skeins, which includes 2 FREE skeins. Please note that we will refund the difference between out flat rate postage and the actual postage costs for your order. The stunning Chincherinchee flowers are in season at the moment and have inspired me to wind up some mini-hanks of the Marta’s Yarns 2ply merino yarn. I have been doing a bit of embroidery with this lovely soft merino and will be sharing some designs soon. In the meantime, I will be loading up some of these mini-hanks to the Yarn section of this website over the weekend in the 24 Rainbow color range and some very special hand-dyed 2-ply merino. I have finally finished production of my Granny triangles video and it is loaded up to YouTube. It is a new take on the traditional granny which I hope will inspire many new projects. I have been working on this idea for a few months now and had done a few samples in New Zealand. Splitting up a granny square into two triangles is easier than you think. I am now experimenting with the same technique splitting into into one quarter and also 4 quarters. It is super fun. Pattern and video launching this week.